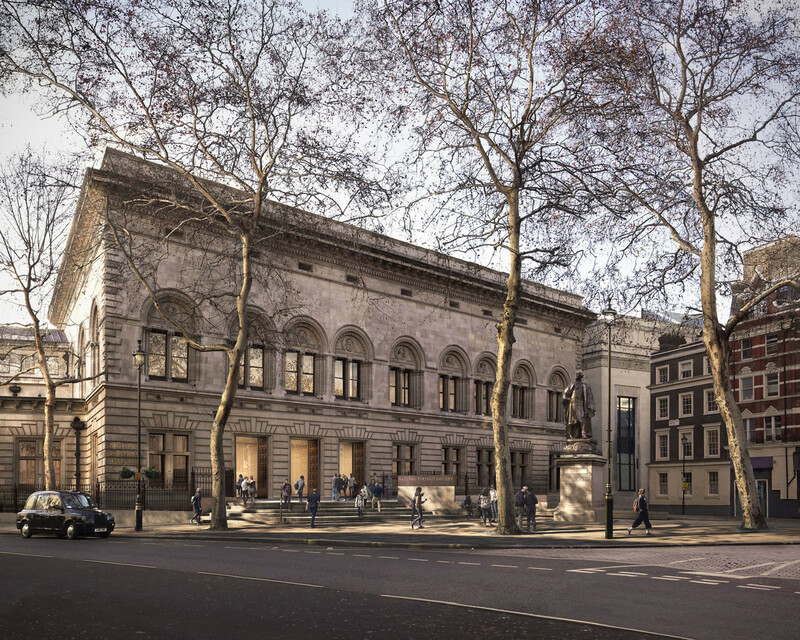 London's National Portrait Gallery is currently undertaking its biggest redevelopment since the building in St Martin's Place opened in 1896. 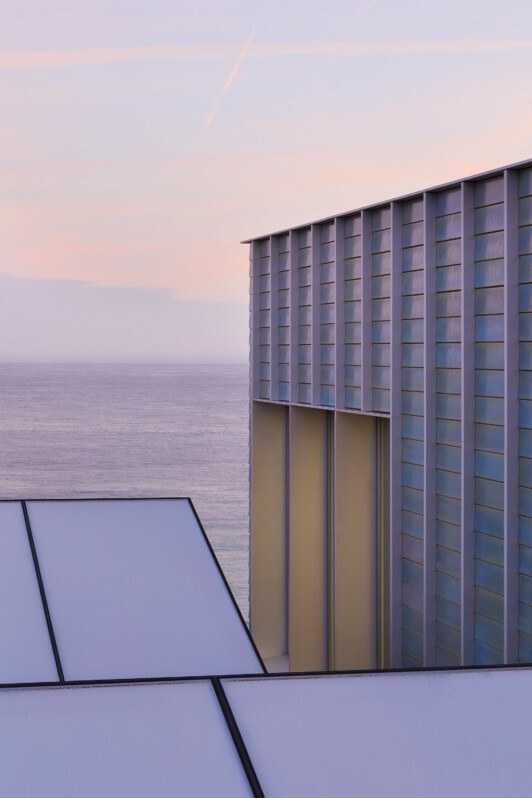 The project, 'Inspiring People', will see a significant refurbishment of the building and will enhance the Gallery’s visibility and accessibility. In 2018, Jamie Fobert Architects was appointed to lead the design, alongside historic specialists Purcell and a highly skilled design team. Ewan Christian’s original building is both handsome and rich in decorative detail. Our work is one of revealing this building and working with it to create a new, open and welcoming National Portrait Gallery. 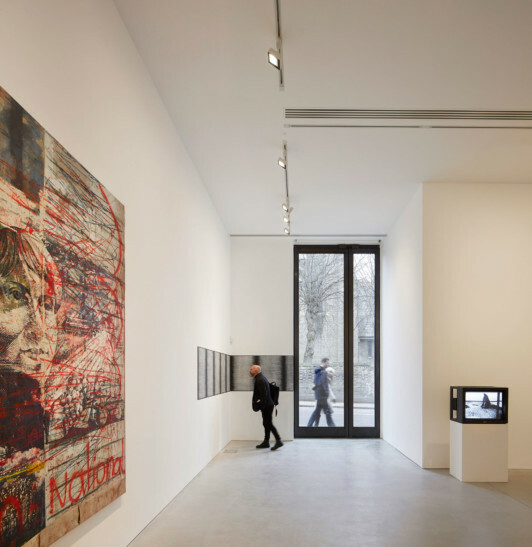 A new public forecourt and generous entrance hall allow space for arrival and gathering appropriate to the stature of the Gallery. 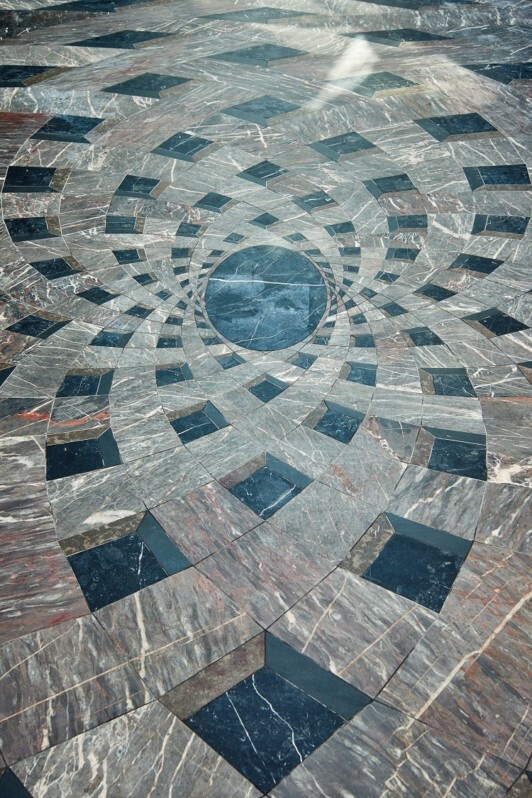 Drawing on the building’s rich history of mosaic, it is proposed that the materiality of the forecourt should be a contemporary interpretation of Christian’s mosaic floors. 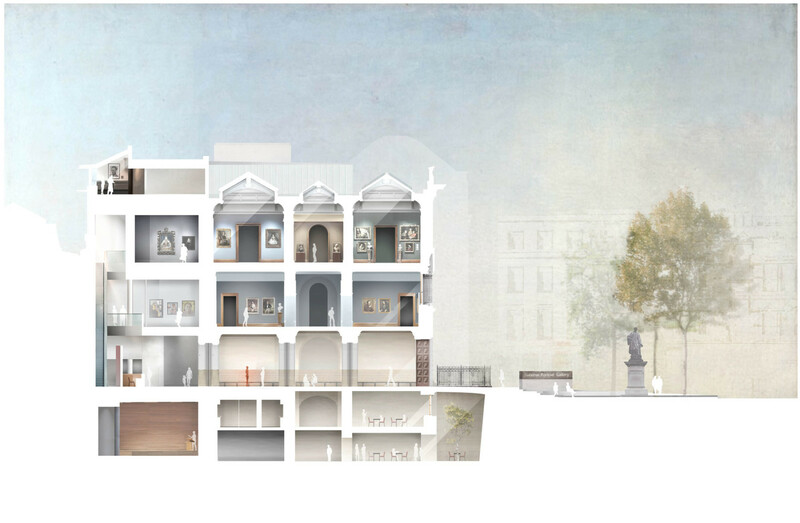 The re-development plans include a complete re-display and re-interpretation of the Gallery’s collection across forty refurbished galleries, presenting a greater and more diverse selection of portraits; the creation of new retail and catering facilities; and a new Learning Centre for visitors of all ages with studios, breakout spaces and high quality practical facilities. The East Wing of the Gallery, part of the original 1896 building, will be re-opened to the public as the new Weston Wing. 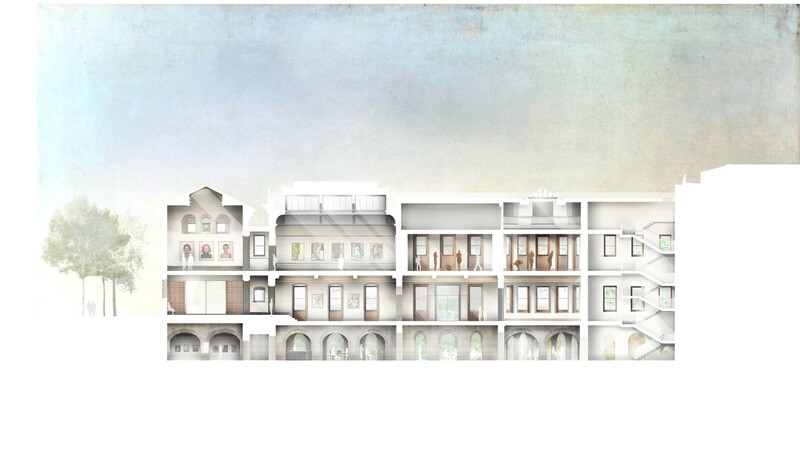 This will include converting what is currently office space back into beautiful, top-lit galleries on the first floor. 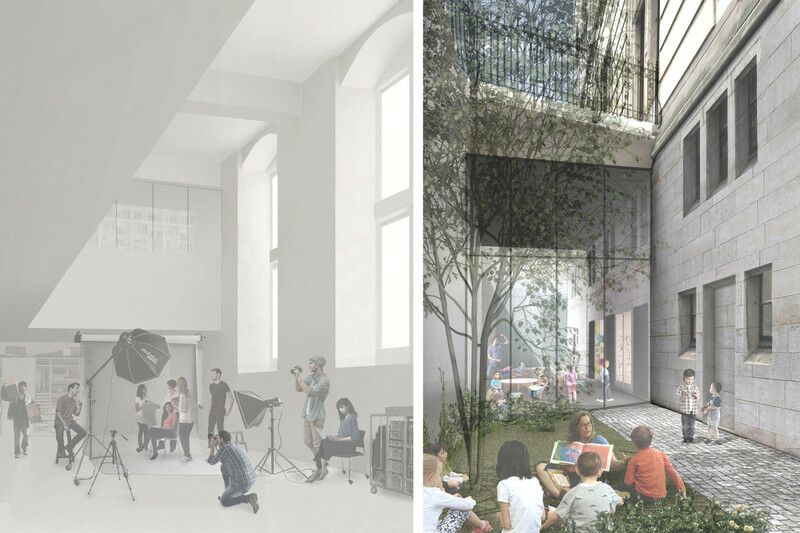 The project will transform the quality of learning provision at the Gallery through the creation of a much-improved Learning Centre, which will increase the Gallery’s learning spaces from one studio to three. Each studio will have specialist equipment and breakout spaces, offering a better experience for schools, families, young people, community groups and adult learners. Overall, the project will enhance the identity, profile and physical presence of the National Portrait Gallery and, by ensuring its ability to be sustainable, will safeguard the Gallery's future for many years to come.